The eve of my 29th birthday was one of those days on which the forces of the universe seem to be working in my favor. My flight into NYC landed nearly an hour ahead of schedule. My driver got me into midtown in roughly fifteen minutes. My hotel had a lovely room ready for me, hours before check-in. I had two meals planned for the day with my good friend BLT(the Beltless Tiger): a late lunch at Jean Georges, and a dinner at Per Se. Being all settled into my weekend digs with two hours until our lunch reservation, it seemed the next logical step was to get a bite to eat. 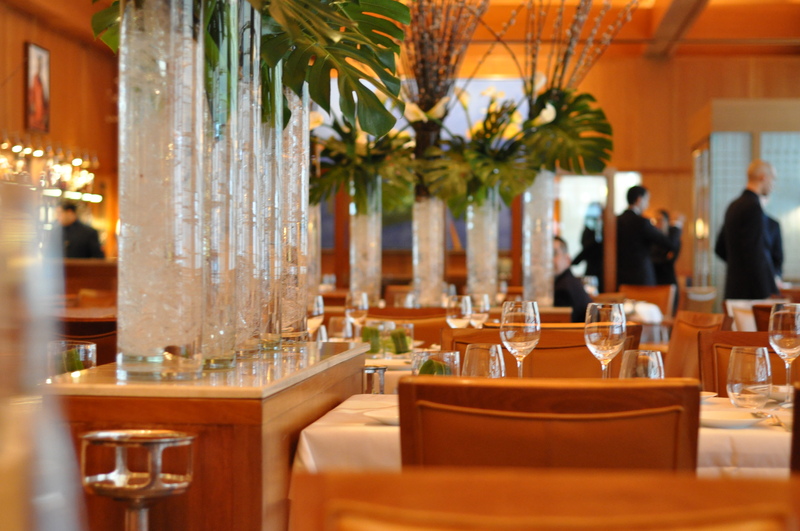 So why not call Le Bernardin to see if they can squeeze in a one-top? All suited up and amped for a weekend of excessive food and drink, I strolled over to Ripert’s mecca of marine cuisine. I was greeted at the door by two ladies, a gentleman, and a “Welcome back, Mr This Guy”, then promptly shown to my table, which was pleasantly near, but not at, the back of the dining room. Comfortably seated, and eager to get the party going, I jumped right into the wine list with two thoughts: I was obviously going to have seafood; and I don’t want to get too drunk, too quickly today. A half bottle of white Burgundy made perfect sense. 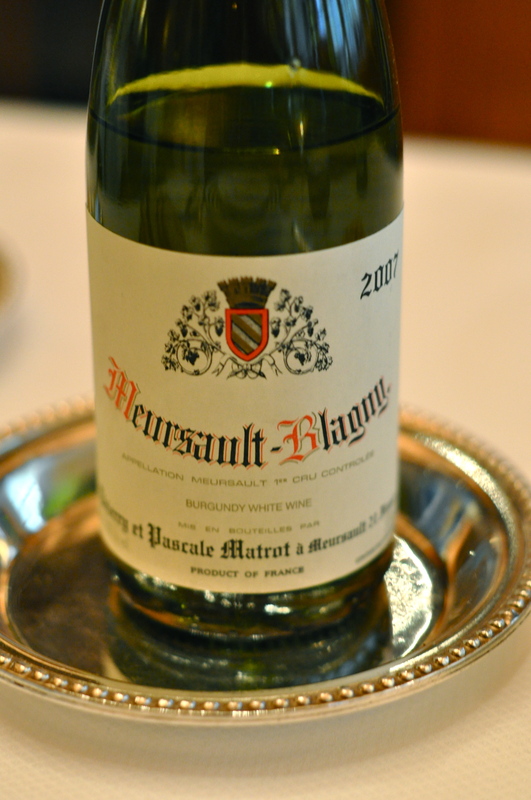 I ordered a 2007 1er Cru Meursault-Blagny by Domaine Matrot, then got into the lunch menu. I certainly didn’t have time to do the tasting menu, so the three-course lunch prix fixe it was. I was tempted to supplement a couple extra courses, but decided it would be imprudent on my schedule. So I made my selections and put in the order. 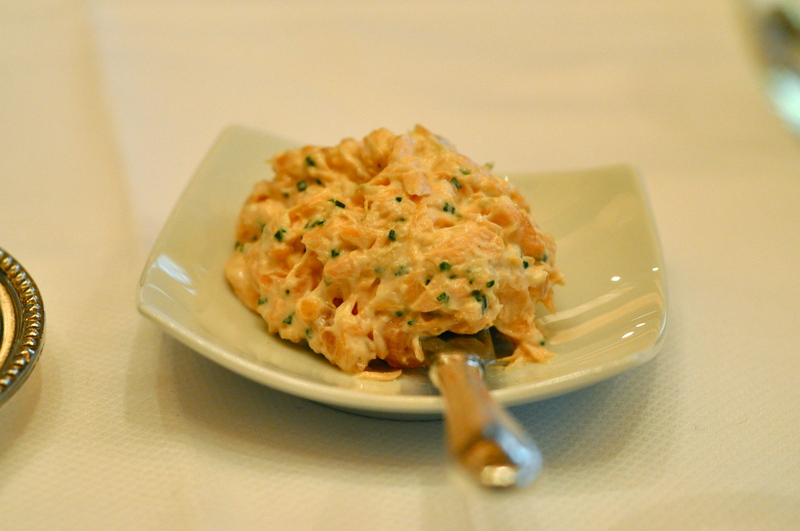 Lunch started with the usual salmon rillette and toast, which I always have a little of, but never get too crazy over. 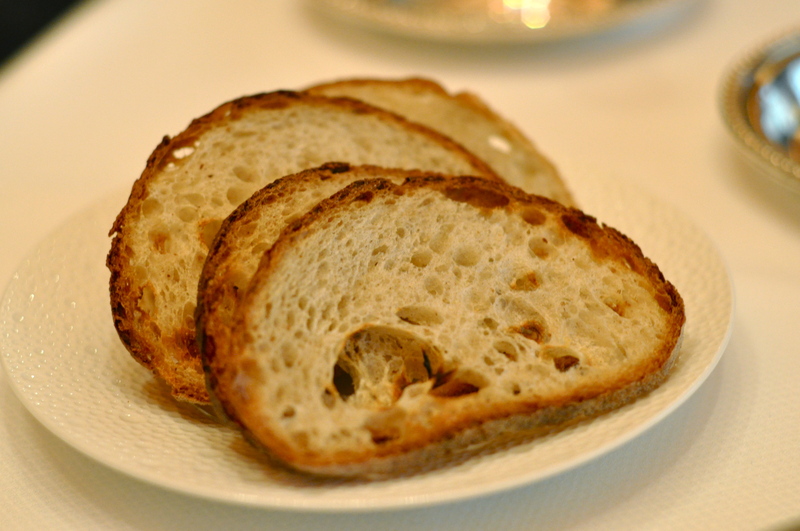 Then some beautiful bread and butter, which I adore, and do get a little crazy for. 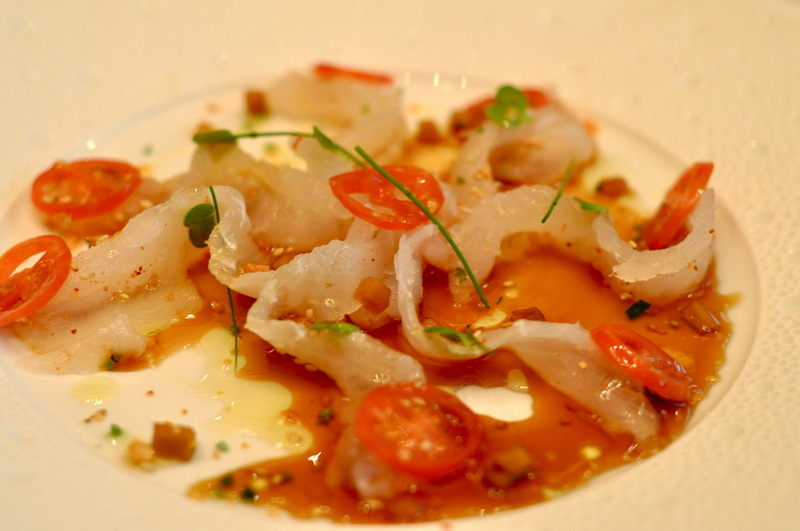 For my first course, I chose the fluke sashimi with crispy kimchi in a chilled citrus, soy, jalapeno nage. This dish was greater than the sum of its parts, and the only instance in which I remember liking anything with kimchi flavor. A precision cast of salt, spice, sour, and acid delicately supported, and didn’t upstage the star of this show, the expertly sliced strips of chilled fresh fluke. 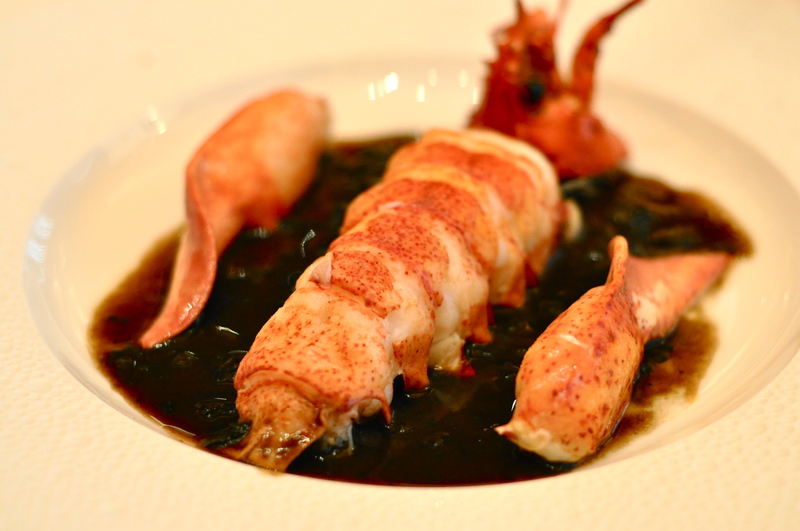 The next player in the line-up was baked lobster over black truffle and foie gras with red wine mushroom reduction. I didn’t think the dish sounded great as a whole, despite the decadent keywords, but I really wanted lobster. As one would expect, each part of the dish was impeccably prepared and brilliantly flavorful on its own. They played together, but they didn’t play exceptionally well together. I wish I could say there was that one element which tied everything together to make perfect sense. Instead of a cohesive cast, this was a stage full of stars staring at each other, a little confused. 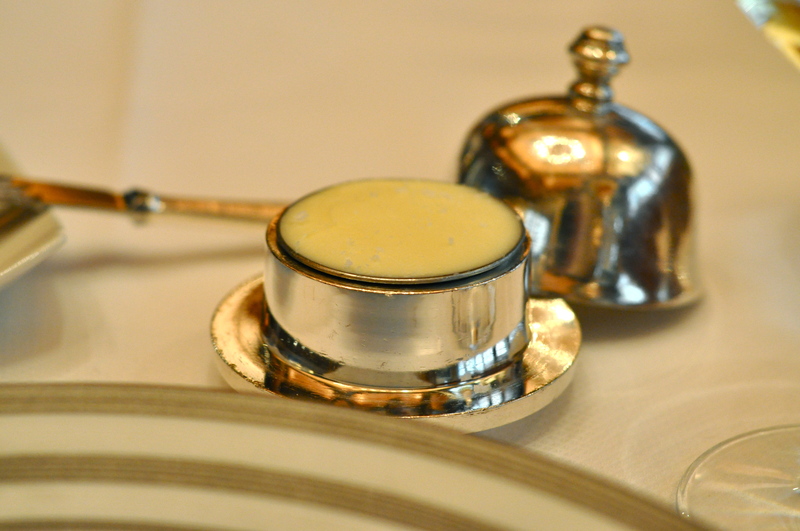 But the lobster, the reason I ordered the dish, was rich, buttery and perfectly textured. And that made me smile. When it came to dessert selection, I was stuck between two choices. 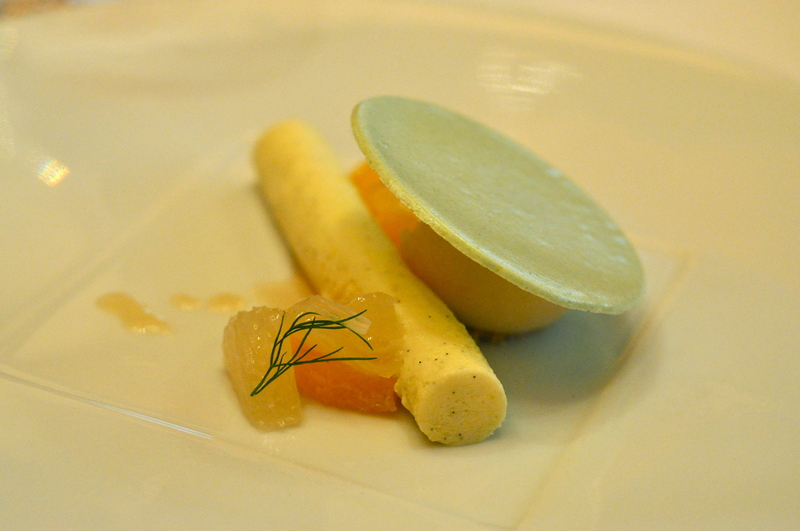 The first: grapefruit sorbet, vanilla cream, tarragon coulis and crisp meringue. That was my captain’s choice for the best on the list. 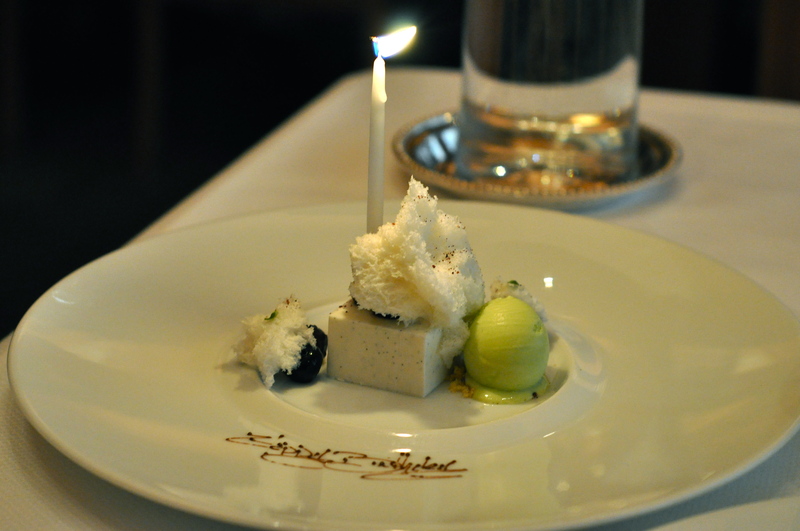 The other: vanilla yogurt parfait, blueberry, basil ice cream and yogurt sponge. 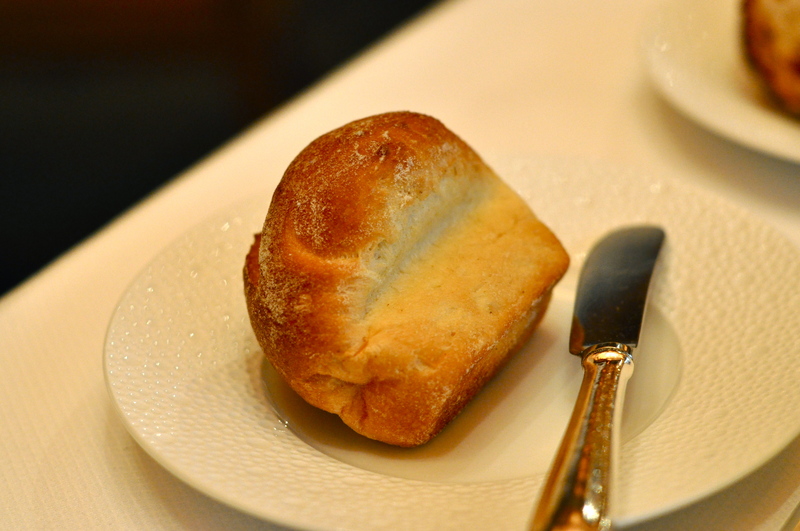 That was his choice for the most comparable item to a dessert I had there the previous spring. I opted for the former. Shortly after it arrived, along came the latter as well, complete with candle and Happy Birthday scribbled in chocolate. I have yet to eat anything from Laiskonis that isn’t a home-run. Between these two, I give the nod to my captain’s choice for best in show. 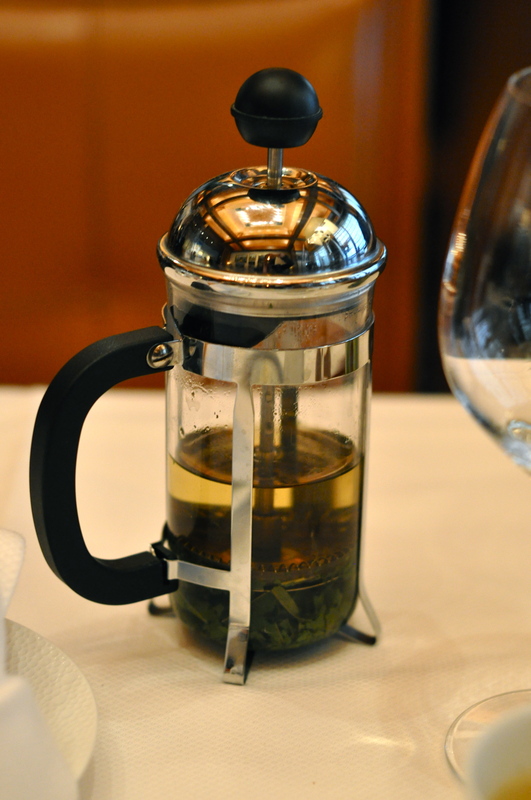 The slight bitter from the grapefruit, the sweet, rich vanilla, the texture of the crisp meringue, along with the minty, peppery tarragon. Dynamite. 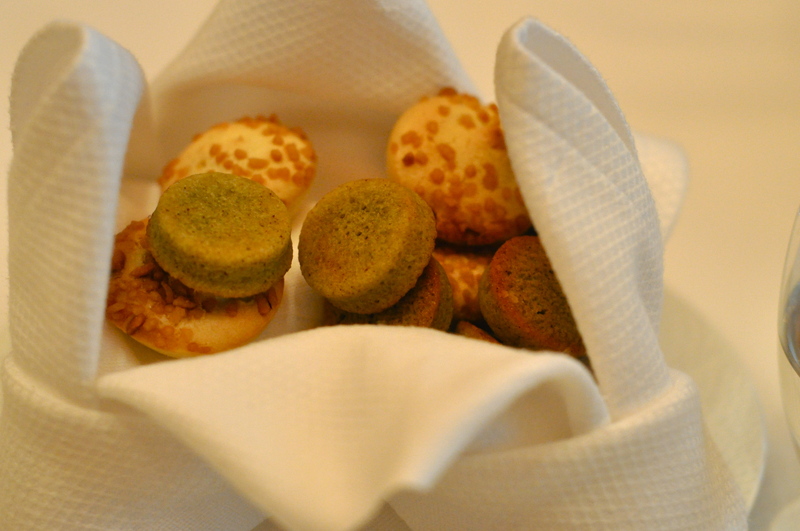 Along with a verbena tea that was selected for me to help my stomach continue the day’s culinary onslaught, came the usual folded napkin of warm madelines. 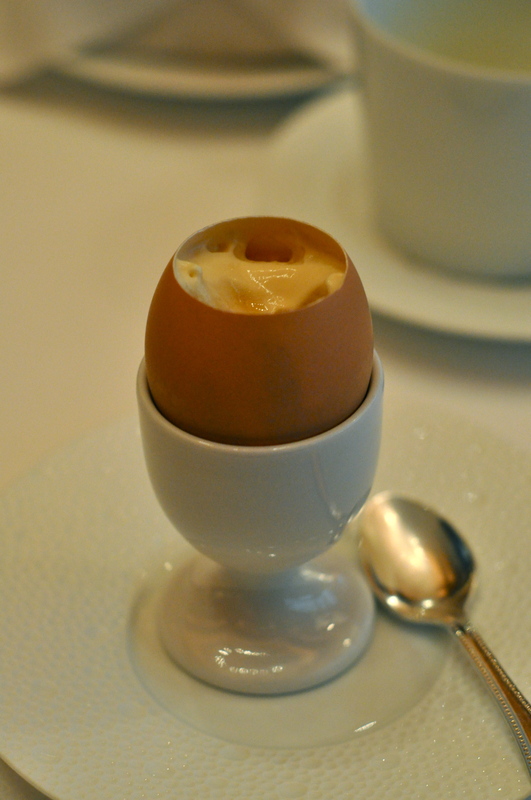 And once again, just before departing, I was presented with an egg shell filled with chocolate, caramel foam, maple syrup, and seasalt. A simple, tasty ending to the beginning of a great birthday weekend.